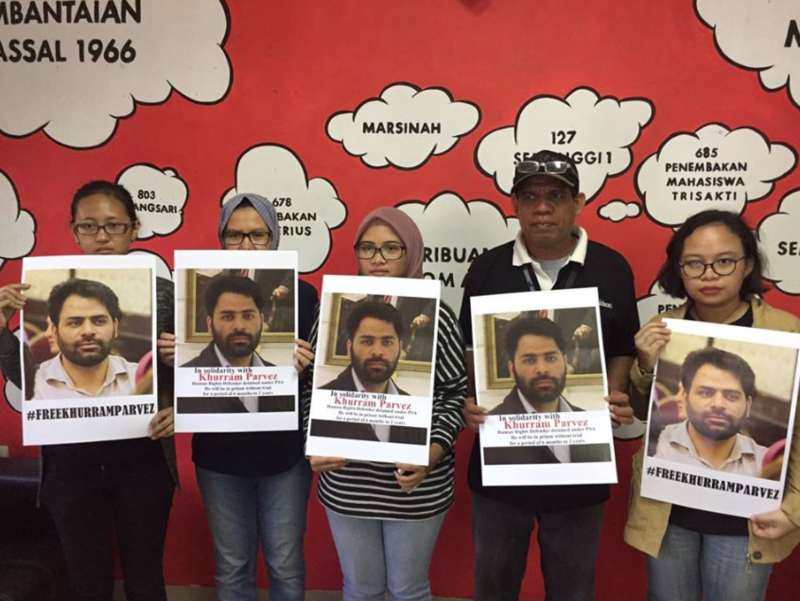 The arrest of Khurram Parvez is not arbitrary on the part of the Indian military. They picked up a high-profile activist. known internationally for his work, who was in the news for India’s refusal to allow him to leave the country to attend a UN meeting on human rights. Officials know damn well he has done nothing in word or deed to provoke violence in Kashmir but only to expose & protest human rights crimes against Kashmiris. They arrested him to signal Kashmiri activists that no one is beyond the reach of the military’s draconian penal system, that no one is protected regardless how well-known or fearless. The intention is to intimidate activists, scare the crap out of them so they’ll stop protesting, make them feel defenseless. Truth be told, it is sometimes an effective tactic. But will it daunt the struggle against the occupation or for self-determination? The campaign to defend him is more likely to inspire Kashmiri youth to follow the path of Khurram Parvez & other human rights activists & less likely to scare the defiance out of them. 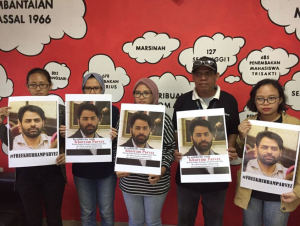 These are activists from the Asian Federation Against Involuntary Disappearances (AFAD) in front of the Indian Embassy in Indonesia demanding the immediate, unconditional release of AFAD Chairperson Khurram Parvez.